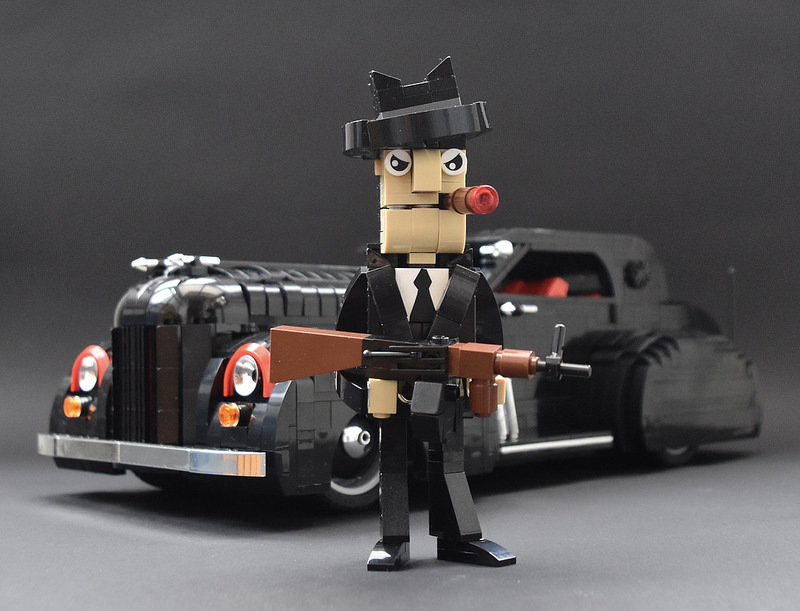 The embodiment of a mobster character is captured perfectly by Martin Redfern. Cigar, check. Tommy Gun, check. Gangster pose, check. To top it all off, the elements used for the suit for shaping makes it look like it was tailored by a master — although I suspect that may be a Sharpie-branded tie. The accompanying cruiser is screaming out ‘mobster vehicle’ all over too! Styled in black with red highlights and chrome headlights. And of course, when there is bad, there must be good to balance it all out. 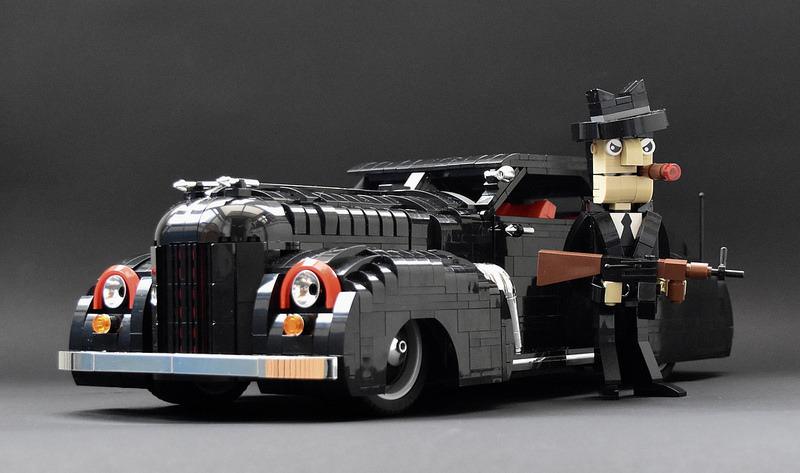 It’s a little known fact that the LEGO company once explored the idea of a 20’s gangster theme. Sadly it was not meant to be (too soon?). Anyway, that hasn’t stopped many builders exploring the idea themselves. 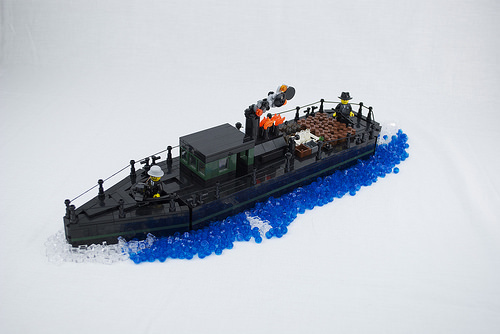 And since I’m heading off to Brickworld Chicago today, it seems fitting to present a couple of recent examples. 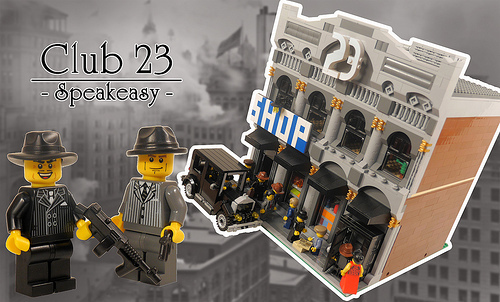 First up Brian Lyles (BrickCityDepot) applies his formidable skills as a Café Corner style builder to bring us the Club 23 Speakeasy. 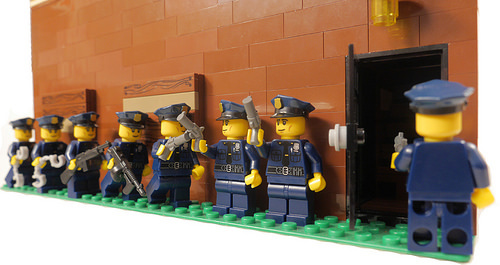 It comes equipped with every convenience and every character you’d expect to find in such an establishment – including some unwelcome guests in the form of a police raid! Check out the full album to see the action unfold. Meanwhile, down by the river, a gang of enterprising bootleggers take advantange of all the ruckus up at Club 23 to smuggle away their wares in this rum-runner built by Joshua Brooks. 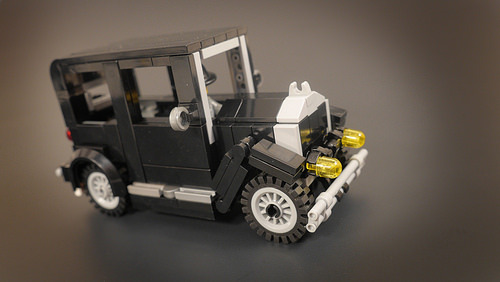 Looking forward to meeting some of you at Brickworld! I’ll be live tweeting from the event. And keep an eye out for me, Chris, Simon and Carter in our fancy new Brothers Brick shirts. And deliver the secret passphrase to claim some swag. You’ll be making us an offer we cannot refuse.